Do you own property, or a portion of property, that is used for agricultural purposes, if your property qualifies as “commercial agricultural property,” you may enjoy a “significantly” lower tax rate. Florida Statute 193.461 is commonly referred to as the “Greenbelt Exemption”. 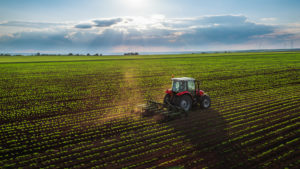 Under this statute, farm properties that are used for bona fide agricultural activities are to be taxed based on the current “use” value of the property–$500 per acre—versus its development value, which is typically much higher. The state statute defines “bona fide agricultural purposes” as a good faith commercial agricultural use of the land. In other words, putting a cow on your property and calling it a “farm” may not withstand governmental scrutiny. However, if the property does meet the statutory specifications, the next step for the property owner is to fill out an application for the statutory agricultural classification. In order to qualify for the exemption, the property must be in agricultural use as of January 1 of the given year in which the owner wishes to file. The owner will have two months to submit the application and supporting documentation to their county tax assessor – the deadline is March 1 of the given year. The law also provides a list of requirements for owners who lease their properties to agricultural concerns. The property appraiser reviews the various factors set out in the statute and will also review the owner’s financial records and tax returns before issuing an approval or denial. If the property is approved, the “exemption” will automatically renew annually, until the owner either sells the property or the property is no longer being used for agricultural purposes. It is the responsibility of the owner to inform the county tax assessor of any changes that might affect the property’s classification. If the property is denied the exemption, the owner still has an opportunity to challenge the denial by filing an appeal with the Value Adjustment Board where a special magistrate will hear evidence from the property owner (or their representative) and the property appraiser to make a determination if the denial as proper or whether the exemption should be granted. If you are seeking to classify your property to take advantage of the Greenbelt exemption, it is advisable to hire a specialist in property tax matters to assist you in navigating the process. Click below to learn more about the Greenbelt exemption and more.